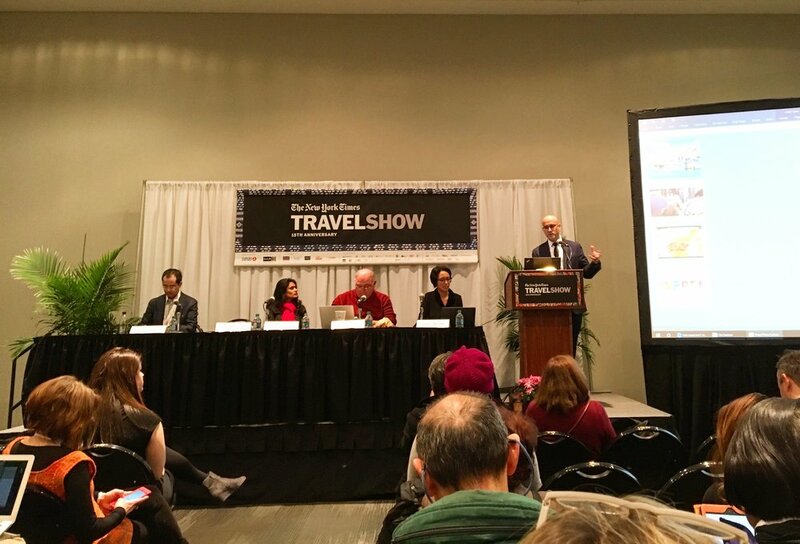 A panel at the 2018 New York Times Travel Show -- January 26-28 at the Javits Center in New York City -- took on where they see culinary travel headed. It’s clear that dining experiences are more important for tourists that ever before. According to moderator Doug Duda, millennials won't travel to destinations with bad food. 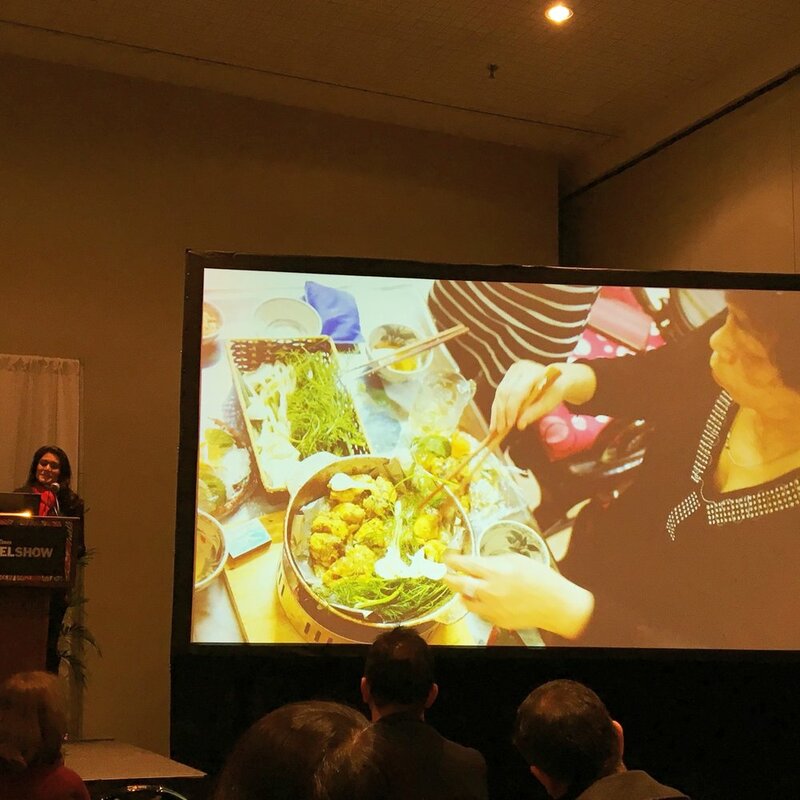 A few 2018 culinary trends became evident from the Travel Show experts. A number of specialty tour operators are working to bring tourists into the homes of regular folk. These hyper-local experiences let guests cook with families for the most personal connection to local culture through food. These opportunities amp up authenticity as well as provide needed income to sometimes struggling families. Israel is a rising world food destination known for the freshness of ingredients and inventiveness of a cuisine that incorporates a number of world cultures. But the biggest surprise? Tel Aviv was recently named the world’s best destination for vegans. The vibrant city is proud home to the world’s first vegan ice cream shop. A tour guide working in Portugal sung the praises of that destination, repeating “It’s not Spain.” And since Spain is now the world’s number 2 destination, trying the less visited country next store is a good tip for those looking to avoid the tourist crowds. She mentioned that some restauranteurs in southern Portugal have rarely served Americans. The trend of local sourcing shows no sign of abating, but each country has its own spin and for South Africa, that’s sometimes a bush-to-table focus. A tourism professional from South Africa explained that this country – which is also off grid for food lovers since there is no Michelin ranking there – has some truly unique culinary offerings, such as Rooibos tea and specialty microgreens. While most tourists to the country are mainly seeking Safari outings, he recommended that the restaurant scene in Cape Town at innovative spots like Test Kitchen and Truth (named the world’s best coffee house) can satisfy the most discerning palate. Travelers are discovering their next great destination increasingly on their social media feeds. The panelist from South Africa shared that his own Instagram feed has inspired followers to consider that country as a culinary touring destination.